Photograph: Jo Unruh Preschool tends to be fun for kids, stressful for parents. Applying for your child's preschool shouldn't be as daunting as applying to college. But with everything you have to consider, not to mention the emotional aspect (your kid is growing up! ), it can feel overwhelming. Our first piece of advice: Take a deep breath and remember your little one is just that: little. Your three-year-old's future as an astronaut, lawyer or chef does not hinge on whether you choose a CPS preschool or a Montessori one. Okay, now here's the tough news: The process starts early, in some cases even a year in advance. If you start researching early, you will find many good schools accept rolling admissions year-round, although there are still plenty that are a lottery (picking applications at random) or first-come, first-served. Preschool is also pretty pricey, costing on average between $3,500–$8,000 a year, but some schools offer financial assistance or even scholarships. As for what else to consider? Here are what we deem to be the most important things to think about when applying to preschools. This should be the driving factor of your decision. Each kid is different, and finding a place that embraces his or her needs is important. Some considerations: Does your kid need a program where her or she focuses on motor skills or getting the energy out? Is your kid shy and need extra love from the teacher? Is your kid ahead or behind in verbal skills and therefore need extra challenges or support? Classrooms will always be full of different personalities and learning styles but, given that the majority of what preschool is about is getting kids comfortable with a school setting, it's important to do what you can to set your child up for success. Be sure to ask questions at each school you're considering, and talk to parents whose kids go to that school, to make sure your child's needs will be met. 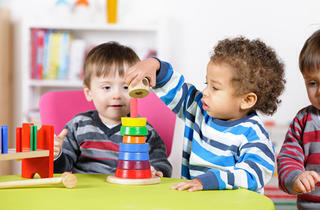 Play-based Most preschools adopt this philosophy, focusing on learning through play rather than classroom instruction. Each day has structured periods and some periods of free play. Reggio Emilia This approach allows kids to follow their own interests. It involves lots of projects, hypothesizing, inquiring and having the child lead the direction of classroom instruction. For instance, if the teacher starts a lesson about the weather, and a child is particularly interested in thunder and lightning, the teacher would adjust the lesson to focus on that part of the subject matter. Reggio Emilia teachers often are more of a co-collaborator than an instructor. 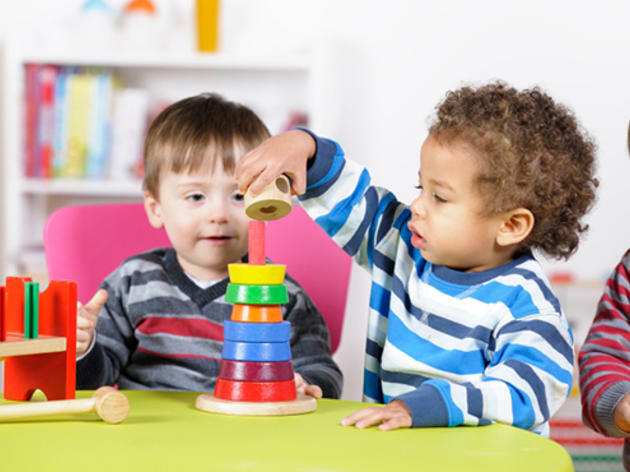 Montessori This type of schooling follows the lead of the child, and focuses on his or her independence and freedom. Teachers are present but learning is mostly self-directed with various activities children can learn from at their own pace. Teachers do a lot of observing and use that to help them meet your child where they are at in the learning process. Classes tend to be mixed ages as well. Chicago Public Schools CPS's methods vary by program but tend to use a more academic, standard classroom approach. Check its website for more details, as the whole process is different dependant on what program you are targeting. Waldorf The focus here is on emulating a home-like experience by creating a loving and nurturing environment. Kids often stay with the same teacher until kindergarten. The focus is less on toys, books and objects and more on fantasy play and imagination. Domestic activities like baking and gardening are also taught. It's also important to consider how the school will fit into your schedule. Is dropping your kid off at a neighborhood school important, or is it better to find something close to your office? Are you looking for a full-day program or do you prefer a half-day? Schools generally run the gamut from two half days to five full days per week, depending on the school and your child's age. Many also offer extended drop-off hours if you have to work late, or enrichment programs your children can participate in that lengthen the day. Some programs also serve lunch, which can vary from organic catering to typical school lunches. If your child has a food allergy, this is definitely something to evaluate closely. Just as schools vary by how your child is taught, they also vary by the involvement expected from parents. Some require you to be a room parent, which involves planning a classroom party or reading to the class, others have more of an open-door policy, and some of the nonprofits expect fund-raising efforts from you. Although this is often not the make-or-break factor, it's important to get a good grasp on what's required of you. Also inquire about what type of communication happens between parent and teacher, and what may happen in a disciplinary or emergency situation. A school may appear beautiful on its website, but once you tour you may realize looks aren't everything. Do your research (greatschools.org and Neighborhood Parents Network are great resources), tour schools, interview directors and ask close friends who have been through this process to narrow down the best choices for your family.